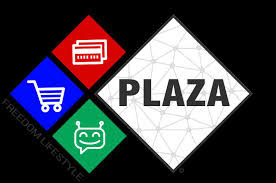 Plaza System is a platform that provides sellers or businesses a next-generation b-commerce (blockchain-based commerce) infrastructure with the fastest blockchain ever existed for business very big or small. And it provides buyers or consumers a platform that enables them to reduce the high costs they pay in commerce platforms usually. Total eCommerce is the platform that contains MerchantChain, which is the blockchain providing extremely fast transactions with a speed of over 15,000 tps (transactions per second) and allows the businesses to build their own decentralized applications on top of it, and The Freedom Lifestyle, which has all other functionalities of the ecosystem like the browsing, searching, payment tools etc.